After 10 years of both Commercial and Residential Asset Management experience the team at Gateway Property Management are in tune with the local market, ensuring that we deliver the best possible results when managing your investment. It is essential in todays property market that we provide service to our owners and tenants that is tailored to the individual. Not only are we Property Managers, but investors as well. We believe this to be an essential ingredient in effective property management. Communication is the key to success. All investors like hearing good news, and we love delivering it, but likewise, we are also straight shooters, so if there are concerns that owners need to know about, we will let you know how it is… and then we will discuss all options and choose the best way forward. We believe this is the best way to build trust! Do you trust your current Property Manager? We currently manage properties from Brisbane to the Sunshine Coast, and out to Ipswich and Jimboomba. Access your information any time you need, you can reprint statements, check recent inspection results & check that the rent is paid up to date. We offer a 24 hour service so that Tenants can contact us to report issues any time – day or night.  We always provide top quality service to all of our clients, here is what a few of them are saying about Gateway Property Management.